After spiking to worrying levels in 2009, automotive warranty claims rates returned to normal in 2010, while the OEMs' accrual rates have never been lower. Their parts suppliers, however, continue to see their warranty costs escalate as the OEMs insist they share a bigger slice of the burden. The good news is that we seem to be in the flip side of the recession -- the period when sales recover and conditions improve. And both automotive OEMs and their suppliers seem to have recovered quite nicely. The bad news is that the OEMs are making their suppliers pay a greater percentage of their warranty costs. 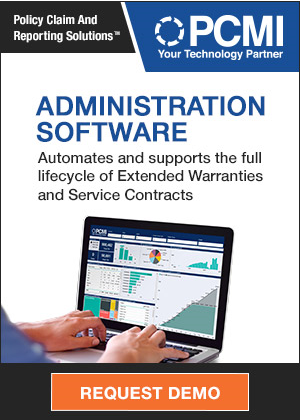 Warranty Week has now completed the gathering of annual report data from 27 U.S.-based auto OEMs and 66 of their largest suppliers, and has added it to the database that begins with 2003 measurements of top manufacturers' product warranty claims, accruals, and warranty reserve balances. In last week's newsletter, we presented the claims data, and in this newsletter, we'll cover the accruals and reserves. In Figure 8 of the April 1 newsletter, we detailed how warranty claims totals continue to fall for both the auto OEMs and their suppliers. Their combined annual total for claims paid fell by 12% from $11.2 billion in 2009 to $9.9 billion in 2010. In Figure 1 below, the picture is slightly different. Warranty accruals actually grew by 9% last year, from a combined total of $8.1 billion in 2009 to $8.8 billion in 2010. Accruals by the OEMs grew by 10%, from $6.4 billion to $7.0 billion, and accruals by their suppliers grew by 5%, from $1.7 billion to $1.8 billion. So why are claims falling while accruals are rising? It probably has to do with the lag time between when a vehicle is sold and when it typically comes back for warranty work. So what we're seeing as falling claims in 2010 has lots to do with the falling sales volumes seen in 2008 and 2009. Rising sales in 2010 will probably show up as rising claims in 2011, 2012, and beyond. Accruals, however, track sales very closely. There should be no lag time. If sales are down, so are accruals. If sales recover, so do accruals. So what we may be seeing in Figure 1 is the bottom of the trough in 2009, and the beginning of the recovery in 2010. The third major warranty metric is the warranty reserve fund balance. If one imagines warranty as a savings account, with claims as the withdrawals and accruals as the deposits, this is the account balance at the beginning and end of the year. In Figure 2, we've added together the warranty reserve fund balances of the 27 OEMs and 66 suppliers at the end of the eight years between 2003 and 2010. The balances grew for five years, from a combined $18.5 billion at the end of 2003 to $21.8 billion at the end of 2007. But then, as claims rose fast and accruals fell faster, the balance began to shrink, by 12% in 2008, then by 15% in 2009, and finally by 5% last year. Now the automakers and their suppliers have only $15.6 billion in their combined warranty reserve funds. By the way, we should note that the term "automotive" in this context includes not only the passenger car makers but also companies that make trucks, buses, construction and vocational vehicles, motorcycles, scooters, and even some golf carts. So while Ford and General Motors dominate the totals because of their massive warranty operations, there is also data in the charts for vehicles both larger and smaller than passenger cars. In addition to collecting warranty data, we also collected product sales data from each of the manufacturers. And by product sales, we really mean warranted product sales. So we did not include any service revenue, financial income, software, consumables, or other product types that would typically not be covered by a warranty. From that point, it's a straightforward exercise to divide the warranty claims and accrual totals by the product sales totals, resulting in a percentage rate. Figure 3 details the trend for OEM warranty claims and accrual rates over the 32 quarters between the beginning of 2003 and the end of 2010. Figure 4 does the same for just the suppliers. Notice in Figure 3 how the OEM claims rate soared in 2009. These are the only four quarters at or above the 3.0% level. And in fact, this spike closely mirrors the one seen for all manufacturers in Figure 4 of last week's newsletter, which is to be expected given that the automotive sectors typically account for 42% to 46% of the overall warranty spending by all types of manufacturers. But there's bigger news to be seen in Figure 3. First, claims rates have never been lower for the OEMs than they've been in 2010. Second, except for that weird little jump at the end of 2009, the trend line for warranty accrual rates has been trending down for at least five of the last eight years. These trends have multiple causes. The record claims rates in 2009, as we've suggested, has more to do with low sales than with high costs. It's just an unfortunate case of bad timing, with the bills for warranty work done on vehicles sold during the good years coming due in the bad year. Conversely, the record low rates seen in 2010 is a case of good timing, with the bills for vehicles sold during the recession spread over revenue earned during the recovery. But the accrual rate trend cannot be dismissed so easily. This is a trend that was under way before the financial panic, and continued right through the worst of it. We think auto OEMs are cutting not only the amount they spend, but also the amount they predict they'll spend in the future. And that also has multiple causes. Before we get to that explanation, let's take a look at the claims and accrual rates of the auto suppliers over the past eight years. In Figure 4, we see the much lower claims and accrual rates typical for the parts suppliers, as compared to the OEMs. Suppliers also had a bad 2009, for the same reason as the OEMs: they're paying claims on past years' sales with diminished current year's revenue. But also notice that while 2009 was the worst year in terms of percentages, 2010 did not turn out to be a return to normal. In fact, 2010 looks to be something like the second-worst year in terms of percentages. We think there's a link between the fortune of the OEMs and the misfortune of their suppliers. Yes, some of the cost reduction by the OEMs arises from increased reliability and decreased warranty claims. But remember, these are net numbers. Some of the cost reduction also comes from increased reimbursements by the suppliers to their OEMs. How much is hard to say without inside information. Externally, all we hear are some anecdotes about how the OEMs have recently become relentless in their efforts to recover more of their warranty costs from their suppliers. And the OEMs have been rather successful at keeping their supplier recovery programs (and the Orwellian names they've been given) out of the newspapers. All we can do is point out that the gap between the OEMs and their suppliers continues to close. In Figure 5, we've repeated the data from Figures 3 & 4 in a single chart. Through the years 2003 to 2008, the gap between the claims rates and accrual rates of the OEMs and their suppliers has averaged 1.9%. But this is just the average. In fact, in early 2009 the gap between their respective claims rates grew to 2.5% before falling back to historical norms. And in mid-2008 the gap between accrual rates narrowed to only 1.6%. So by no means has the gap always been exactly 1.9%. The reason we say this is because in 2009 and 2010, the gap has narrowed considerably. For claims, it's been only 1.5% wide during all of 2010. For accruals, it's been between 1.0% and 1.2% during the entire year. We think this illustrates the trend. At some point in 2011, it's highly likely that the gap between OEM and supplier warranty claims and/or accrual rates will be half as wide as it tended to be during the years 2003 to 2008. And that will be due partly to the increased reliability of the vehicles and partly to the increased cost-shifting of their manufacturers. There's another trend we're seeing in the 2010 data, and that is the regional trend in warranty costs. In the roughest terms, we're seeing the European and American passenger car manufacturers cutting their net claims costs, while the Japanese OEMs are seeing their net costs rise. It's dangerous and misleading to directly compare the claims rates of the major OEMs. First of all, DaimlerChrysler and now Daimler alone report their sales and warranty costs in euro, while Toyota and Honda report in Japanese yen, and Ford and GM use the U.S. dollar. Second of all, we're not sure they each count warranty costs the same way. For instance, are recalls always, sometimes, or never counted as warranty costs? Are parts costs calculated using their manufacturing cost, replacement cost, or their retail sales price? And so, with those caveats, we shall now directly compare the claims rates of the major OEMs. When we first ran this chart in 2006, Chrysler was still owned by Daimler, and DaimlerChrysler was still reporting its warranty costs quarterly. Since then, the ownership has changed and so have the market shares. The Daimler AG figures no longer include Chrysler, and Chrysler no longer reports its warranty costs. We do want to note, however, that Daimler reduced its claims rate in 2010 to only 3.1% -- its lowest since what seems to have been a fleeting anomaly in 2004. Also, the recent dogfight between Daimler's and GM's claims rates seems to have ended with GM being once again below Daimler. The other item we want to note is that Ford's claims rate is now below the most recent claims rate reported by Toyota. However, that last Toyota report was for the fiscal year ended March 31, 2010, and we're now awaiting data for the fiscal year that ended last week (which is expected to be published in June). And averaged over an entire year, Ford has never seen its claims rate dip below Toyota's. Still, what's notable in Figure 6 is that the lines crossed at all. Except for that early 2004 anomaly, Daimler has always spent a higher proportion of its automotive revenue on warranty claims than GM has. And except for that fleeting moment at the end of 2009, Ford's claims rate has always been higher than Toyota's. Suffice it to say that the reliability gap is closing, with warranty data as evidence of the trend. And the headlines about increased reliability and reduced warranty costs do seem to agree with the themes suggested by Figure 6. Toyota has problems; Honda remains the champ; Daimler is improving; Ford has never been better; and GM is back from the brink. And so on. The Tesla data for 2008 was reported in the form of year-ago comparisons in its 2009 annual report. And of course, sales were just beginning in 2008, which is why there were accruals but no claims. Notice how the accrual rate seems to be searching for the right level. Notice also how the claims rate rises from zero to what we would call a typical level for automotive OEMs (2% to 3%). If we had warranty data for Ford or GM during the years 1908-1910, we suspect it would look quite similar. Of course, Ford and GM are also in the game for hybrid and all-electric vehicles, with their Fusion and Volt brand names. Toyota just sold its millionth Prius hybrid in the U.S. Honda has a hybrid version of the Civic. And Tesla is a supplier to Mercedes. So the major OEMs are definitely part of the electric car's future. By the way, Warranty Week recently joined Facebook, and we've begun posting links to our weekly newsletters on the page called "Warranty Week." If any of our readers are Facebook users, we encourage you to "like" the page and to write on its wall. If nothing else, it's a good way to get around the spam filters and corporate firewalls that sometimes impede delivery of the email and web editions of this newsletter. Global Warranty Group names Rick DeFino vice president of sales in Wireless Division. Resource Automotive announces QCertified pre-owned mobile app. Judge declares Pittsburgh water line warranty program illegal. Excerpts taken from actual warranties are difficult to read or comprehend. Taylor Guitars offers 12-year warranty to its European customers. Retailer won't honor mattress warranty because of stains. EquityLock Home Price Protection policies guarantee home won't lose value. Tesco offers used cars online along with one-month RAC warranties. South Africa's new Consumer Protection Act mandates six-month warranties. Canada falls short when it comes to policing product warranties. Nokia extends manufacturer's warranty to 2 years in Australia. Verizon's "Certified Like New Program" to get more strict with returns. One Source Networking accused of deceptive sales of extended warranties. General Motors sells its stake in Delphi for $3.8 billion. Dorsey Trailer gives its LiteGuard 5000 refrigerated trailer a 10-year warranty. Citroën adds value to used light commercial vehicle warranties. Hyundai ends its involuntary unemployment car buy-back program. American Home Shield responds to nearly 3 million service requests in 2010. ByBox Field Support seeks Warranty/Return Material Authorisation service. Ethanol advocate details his views about gasoline labeling laws. Safeware to administer extended service plans for The Computer Guy. How to import a car into Canada from the United States. Blue Sky Energy announces 5-year warranty on Solar Boost charge controllers. Retailers hope buyback programs boost business. Day One of US Fidelis auction attracts buyers and spectators. Honda 2011 Odyssey minivan recall triggered by 97 warranty claims. Local beer maker offers Warranty of Origin for the barley used in its malt. The Warranty Group says longer warranties likely in used car market. Association of Global Automakers lobbies against 15% ethanol blend. Where to turn when the appliance warranty expires. Ride-on mower maker Etesia stresses the importance of warranty registrations. US Fidelis property auction begins this weekend. 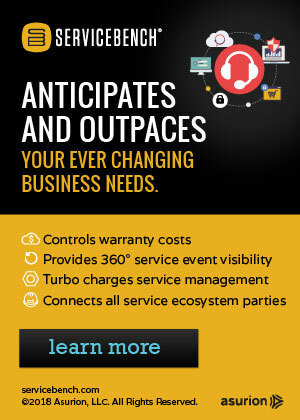 ServicePower Technologies returns to profitability in 2010. Mobile phone warranty claims are being denied because of "water damage." Natura World offers warranty support program to independent retailers. KraftMaster Renovations announces upgrade to 5-year warranties. SCIC says vehicle service contract sales keep pace with increased auto sales. Panasonic Solutions lengthens warranty on professional LCDs to five years. Bid to save Pittsburgh's $5/month sewer line warranty program fails. Is Ford planning to extend its UK warranty to five years? Benefits of third-party new home warranties in Saskatchewan explained. Buyer recounts long wait for fifth Stearns & Foster mattress replacement. Stephanie Hart joins 2-10 Home Buyers Warranty as Southeast Region VP. SquareTrade offers $48 discount on iPad extended warranty with accidental damage coverage. Saudi Arabian Monetary Agency licenses Gapcorp to sell extended warranties. Toyota plaintiffs want to see NHTSA & NASA findings on sudden acceleration. UC Berkeley professor says shattered sunroof is a defect, not damage. Consumers must check small print to avoid extended warranty woes. Pittsburgh Water ends controversial line warranty program.